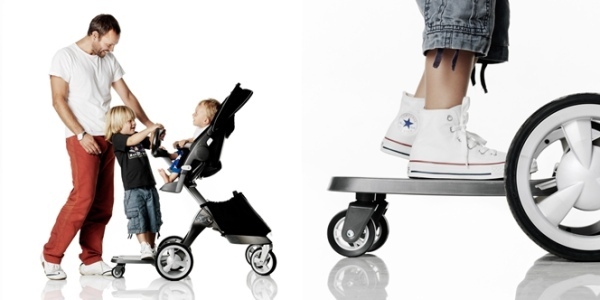 Stokke's new Xplory Rider Board - now toddlers can ride when baby comes along! Stokke’s new Xplory Rider Board – now toddlers can ride when baby comes along! 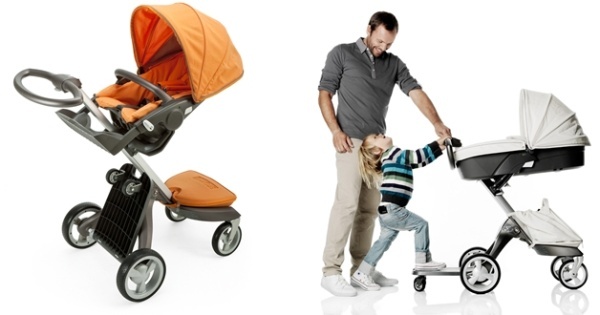 Stokke is getting with the toddler program with its brand new ride-on board – the Rider! We’re rather avid fans of the Stokke Xplory pram, featured here quite a few times over the past few years, so it’s great to see Stokke extending its life for when baby number two comes along. Whilst I can’t vouch for anyone else’s toddler, my own three-year-old fell head over heels in love with his toddler board when his brother was brand new. Giving him a new sense of independence, he mastered a steady ride on his board in just one week and we still use it for school runs more than two years later! The Xplory Rider suits toddlers from two years old and up to 20kg. Stokke advises that the Stokke Xplory Rider will fit only new models of the Xplory with serial number 113464 and up. Also be sure to look out for the Xplory’s new cup holder. Unfortunately the Xplory Rider is not currently available in Australia.